At some point in life, everyone wants to become a rockstar. What is there not to admire in a professional musician? They get up under blaring light on a stage, play some fantastic tunes, and get to hear the adoration of thousands of fans who usually just beg for more. 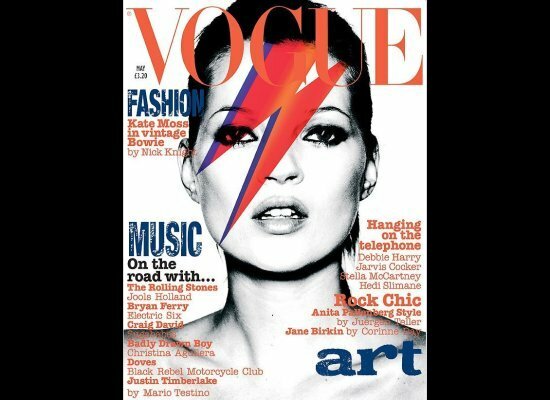 There is no rockstar who pushed the limits quite like David Bowie. Between crossing the androgynous lines and dressing like a spaceman, no one could ever quite put a finger on how David Bowie found his stylistic inspiration. 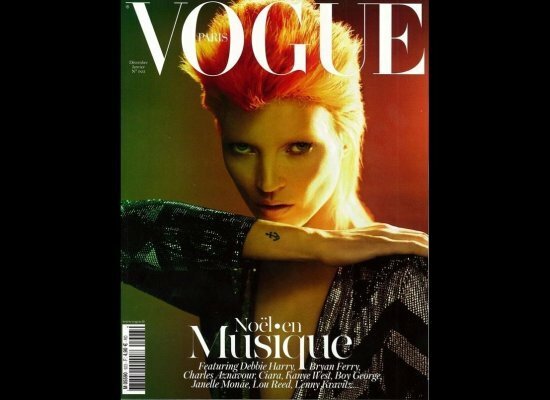 For VogueParis, model Kate Moss did her best Bowie impression and donned the bedazzled jumpsuit with a bright orange mullet wig. Debbie Harry was the style icon for post-punk new wave and thousands of hipster girls across the world. 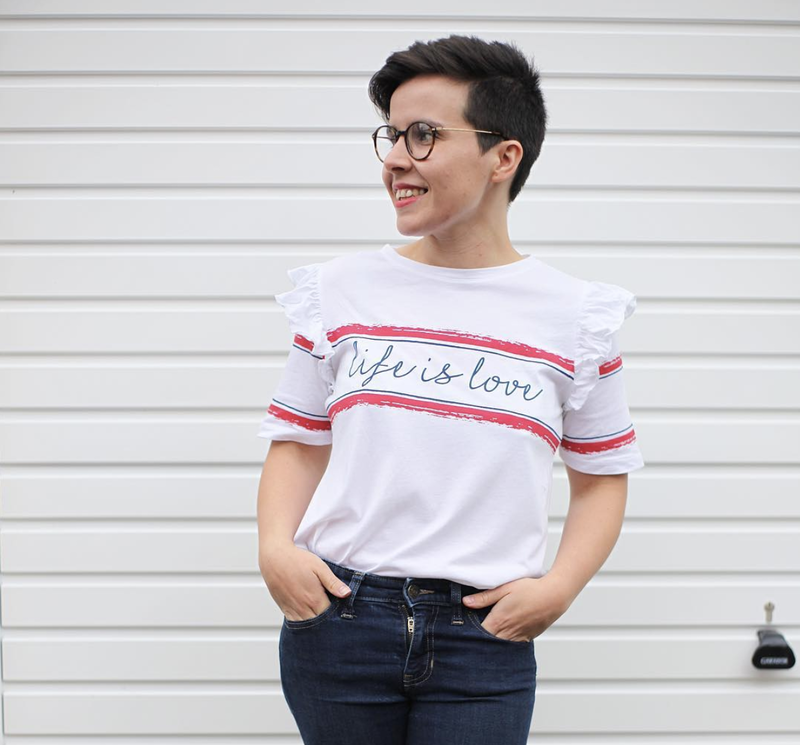 Short little dresses, bleach-blonde hair, and a minimalist approach has helped women accentuate their most stunning features long after the death of punk. If you think it acceptable to wear spandex to the gym you have David Lee Roth to thank. DLR sported the form fitting material on stage so he could perform extensive acrobatics and karate kicks for his adoring audience. You get to wear spandex in order to do yoga and use the Stairmaster. Poison took the glam metal look that Van Halen started and cranked it up to 11. If you ever see a guy walking around with feathered hair, emerald engagement rings, and too tight jeans, you can rest assured that he is jamming out to “Unskinny Bop” on his Poison cassette in his Walkman (probably hasn’t heard of an iPad). While Nirvana made most of the musical impact out of the grunge era, Pearl Jam really highlighted the stylistic aesthetics. If you walk into any Urban Outfitters store you will see racks of clothing all adorned with flannel shirts, old military jackets, and jeans that look like they’ve been worn for years. The demographic Urban Outfitters usually brings in wears these pieces without a shred of their trademark irony. The best thing about emulating the style of your favourite rockers is that you don’t need any real musical talent. All you need is a credit card and a bit of creativity to get the same reaction as Bono gets when he walks off an airplane. No matter what rockstar fashion is always on trend in some form or another. Personally I never get board of black jeans, black leather jacket, white torn tee and statement jewellery.